Below you will find links to all the materials you will need to work as a partner with WDI. Click the link to open a PDF file in a new window or right-click and choose “save link as…” to save the document to your device. The Order Form is a Spreadsheet (XLSX) and will download when clicked. The rest of the documents are PDFs. If you click the link, the file will open in a new window or you can right-click and choose “save link as…” to save the document to your device. *Moldings in this catalog are non-stock items and they require a set-up, which includes a set-up fee. It is important we communicate using the same terms and definitions. 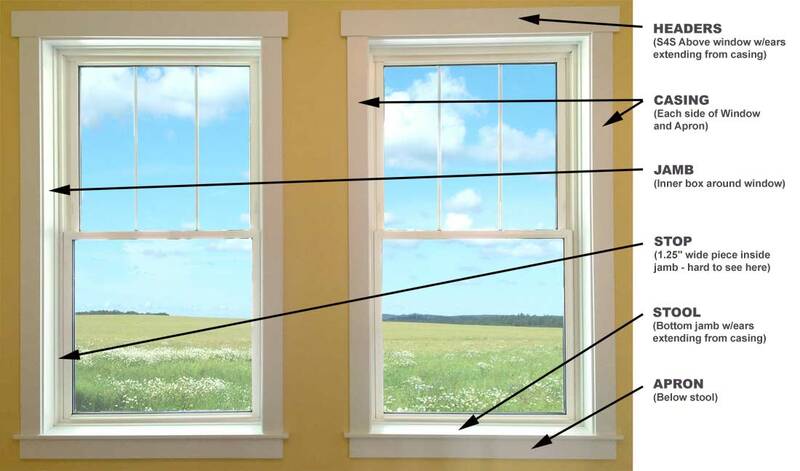 Shown below is a schematic with all parts of the WDI Window Trim Kit labeled. Visit our partner sites for additional products and services! WDI Retail Packaging Division makes solid wood boxes and wood/premium paper composite (MinnMade) boxes for retail packaging. Solid wood is exactly what you would expect – we start with high quality wood and create custom packaging to meet whatever specifications you require. MinnMade starts with a tempered hardboard substrate made of fine sawdust particles. Combine this with a premium paper and the MinnMade Product Line was begun. Just like our solid wood products, each of our MinnMade products are built to our customers specifications. WDI Custom Wood Division makes a wide variety of wood products. Our selection ranges from awards and plaques (our original business!) to promotional items and store and product displays. We can help to make your product/brand stand out in the store and in promotions with the orginal greener and renewable material – Wood!